Federal SWAT teams moved-in on eight homes in a well-choreographed mission Wednesday morning. TODAY'S TMJ4 went along exclusively with the FBI Regional Gang Task Force as they raided homes on the city's north side. "They just rolled up, circled the place. Put the light on the window up there, told them 'FBI, get down,' Then there was a loud bang and they all went in." said a neighbor who did not want to be identified. 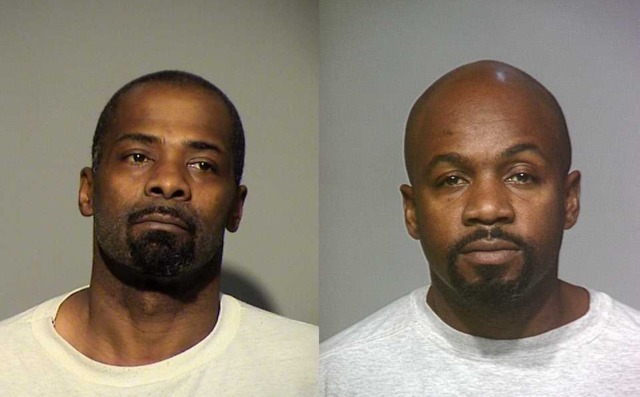 The agents were targeting homes in Milwaukee connected to a heroin operation. "This subset of this group is responsible for kilo level quantities of heroin in Milwaukee," said FBI Assistant Special Agent in Charge Robert Botsch. They are all part of the Vice Lords street gang. "It's a very sophisticated group. They are very good. They are very surveillance conscious. They pay individuals throughout the neighborhood either in cash or heroin to act as lookouts. So we have to take all that into consideration," said FBI Supervisory Special Agent Jason Soule. Agents made multiple arrests and seized 12 guns, nearly $30,000 in cash and various drugs. Most of the men taken in were 40 years old or older. Neighbors were surprised by the news. "I stay down the street, I couldn't detect drug activity and I would know it," said one man who didn't want to be identified. But they also say they do not go looking for problems. "I stay in my house, I mind my own business," said a woman who also did not want her name used. The FBI said that does not change what is happening behind the closed doors. "Usually the groups we go after are a little flashy, they have expensive jewelry. They drive expensive cars. That's not the case with this group," said Soule. "They are a less flashy but they still reach a level of violence that we are trying to eliminate." The FBI is still searching for two men connected to the raids. Don Tillman (left) and Casey Johnson (right). If you know where they are you are urged to call the FBI in Milwaukee 414-276-4684.